Virginie Basselot is a smiling restaurant chef. She has worked at Saint James Paris , the sole Relais & Châteaux  hotel in the French capital, since 2012. Her talent and creativity were rewarded when she won her first Michelin star two years later, and she received the prestigious title of Meilleur Ouvrier de France  (MOF), the competition for the best craftsmen of France, in 2015. She is the second woman to wear the blue-white-and-red collar since its creation in 1924. This title is the ultimate recognition of excellence to honor outstanding craftsmen in their industry. It takes place every four years. Hailing from Deauville, Normandy, Basselot honed her culinary sensitivity as a teenager. Her own style has flourished in the best gastronomic behemoths in Paris– especially when she worked with the iconic Michelin three-starred chef Eric Frechon at Le Bristol restaurant for nine years. Virginie brings to light a quintessentially *French* cooking style. Her culinary skills allow all the ingredients to gleam in truly seasonal, fresh and colorful dishes. The chef superbly enhances all the layers of flavors with aromatic herbs that she lovingly grows in the garden at Saint James. Bonjour Paris recently had the chance to sit down and speak with the chef about her passion. SF: Could you tell us about your culinary career? VB: I was born in Deauville , Normandy . 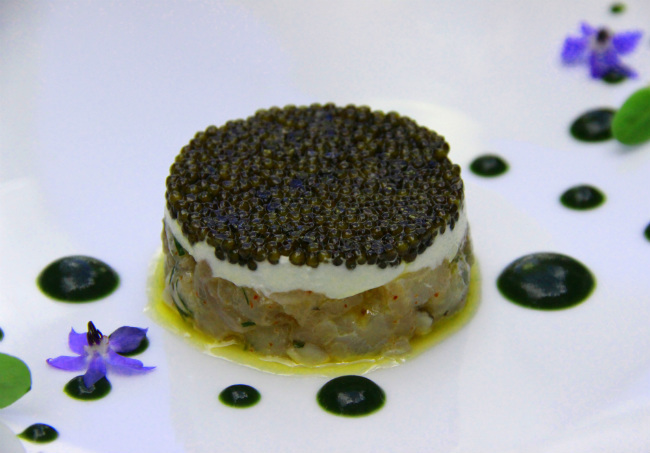 I began my career at the age of 15 to follow the steps of my father, also a restaurant chef. I worked with Dominique Bouchet at Hôtel de Crillon for one year, then with Guy Martin at Le Grand Véfour for three years and then with Eric Frechon at Le Bristol restaurant  for nine years before starting to work at Saint James. SF: How did you become a chef? VB: Actually, I wanted to be a fighter pilot. But I was largely influenced by my father’s culinary sense. So I decided to begin my professional career in Deauville, where I worked for different gastronomic restaurants before arriving in Paris. The passion for cooking began to grow when I started to work in the most beautiful luxury hotel  of the capital. I was young when I arrived in Paris. So I was fascinated to see all these magnificent places. When I arrived early in the morning to work at l’Hôtel de Crillon, I was always mesmerized by the Place de la Concorde. It was just like a dream. SF: You are the second woman to be awarded the prestigious title of Meilleur Ouvrier de France since the creation of this competition in 1924. How did you feel? VB: I was both happy and moved. In the beginning, I was not fully aware of my emotions. They came a little bit later. I registered for this competition for personal reasons. It was important for me to take part in this event because I worked for nine years with Eric Frechon and Franck Leroy at l’Hôtel de Bristol. As they are both Meilleurs Ouvriers de France, this title represented to me a deep symbol of transmission of knowledge, consistency, humility, as well as the evolution of the culinary work. What truly made me happy was to bring to light all of those. SF: How did you prepare for this competition? VB: I obviously worked very hard. First, there was a written culinary examination. So I revised everything concerning the cooking: cheese, wine, designations, general knowledge, and English… I also reviewed all the technical and basic skills. In the final examination, we had to prepare not only two required dishes but also a dish that we had to make from scratch in front of the judges. SF: Has a chef inspired your cooking? VB: Yes, Eric Frechon. He did help me a lot. This is the reason why I worked with him for over nine years. And still he continues to advise me. Working with him for all this time definitely formed bounds. SF: Has being a woman had any influence on your career as a chef? VB: It did not have any particular influence. Being a woman has neither restrained nor affected my chef career. SF: How would you describe your culinary approach? VB: I like simple things. I prefer to innovate with the freshest ingredients and the best products to highlight authentic and enhanced tastes. SF: What is your vision of cooking? VB: Coming together as a family or with friends around a table is both a convivial and pleasant moment to share meals together while talking. Cooking has really this deep notion of sharing. Of course, cooking can also reveal emotions or evoke a memory. SF: You have been working at Saint James since 2012. How would you describe the beautiful hotel, the restaurant, and the terrace? VB: I was first impressed by the staff. They are all truly kind, friendly, and really helpful. As soon as I arrived, I was also immediately seduced by the warm and cozy atmosphere prevailing in this superb mansion. Saint James Paris has got something very special. Every time I pass through its gates I can’t help but feel like I have entered a country estate. I have the impression that I am no longer in Paris. 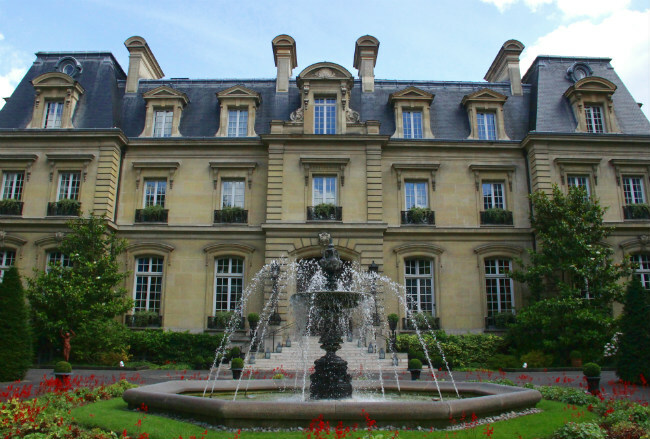 I was obviously enticed by the beauty of this old luxurious mansion located in a quiet area of Paris, surrounded by a country-style garden with such an intimate and green terrace. It reminded me of my Normandy. SF: What is your goal at Saint James? VB: I would like the Saint James to be well known in Paris. Indeed, I regularly meet clients who did not know that Saint James was both a restaurant and a hotel. As this old mansion is quite impressive, people think that it is a mysterious and guarded place. SF: How do you find your inspiration to cook your signature dishes? SF: How do you sharpen your creativity? VB: During my free time, I observe a lot. I am also very much inspired by my environment and places where I live, the books that I read. The research is a good source of inspiration. SF: How often is the menu changed? VB: The menu is renewed throughout the year and according to the inspiration and to the available fresh products. If an ingredient is no longer available, we cook another dish. There is also the Club menu, which is changed every week. It is dedicated to the members of the Saint James Club. As the restaurant is available for dinner to the public, everyone can indulge in a delicious treat with the dishes offered in the menu. VB: Absolutely! The terrace is very intimate, very pleasant. It is an agreeable place for dinner. SF: What about the garden of aromatic herbs that you have created? VB: Saint James is surrounded by a garden. I wanted to embellish and optimize this enticing greenway. 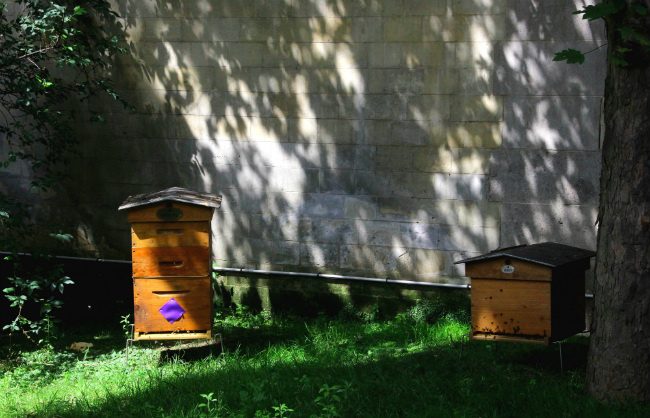 In addition, Mr. Monin, the former director of the hotel, had the genius idea to add beehives in the garden. So there are two hives behind the hotel. The harvest produces 132 pounds of honey per year. The honey is used in our dishes, mainly in the desserts. SF: You come from Normandy. Do you have a favorite meal there? VB: In the winter, we cooked the Normandy sole. 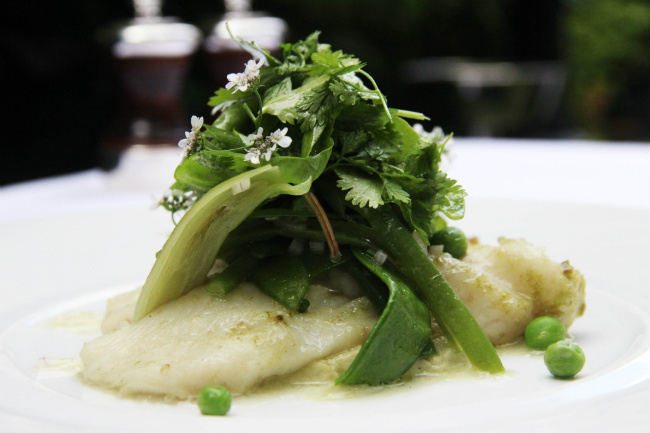 This dish is reminiscent of my childhood, because I used to eat a lot of sole as a child. SF: Which are the ingredients that you particularly like to cook with? VB: I like all seafood. Being from Normandy, I also naturally like using butter and crème fraîche in the dishes. SF: Which flavors do you prefer? VB: I very much like the iodine flavor of seafood. I also like a smoked flavor in dishes during the winter. It is something comforting. It probably stems from the fact that I was brought up in a family house in Normandy where there was this constant firewood aroma coming from the chimney. For example, I like to add grilled nori seaweed in the pot-au-feu. It gives that authentic smoked flavor to food. SF: As cooking is an art, it is said that it is therefore linked to emotions and sensitivity. Do you agree with this statement? VB: Indeed, emotions are translated into the cooking. But I also think that we are not always fully aware of how much emotions can affect the way of cooking. Even if I have my own voice, my inspiration can change according to my emotions. SF: What dish are you most proud of? VB: Cod with seasonal vegetables. SF: What advice would you give to future female restaurant chefs? VB: As it is a very demanding profession, it requires working really hard. It is physically difficult for everyone, female and male, but the future female restaurant chefs have to really challenge themselves and go for it so that their dream comes true. SF: A few words to conclude? VB: Saint James is a unique place in the heart of Paris. 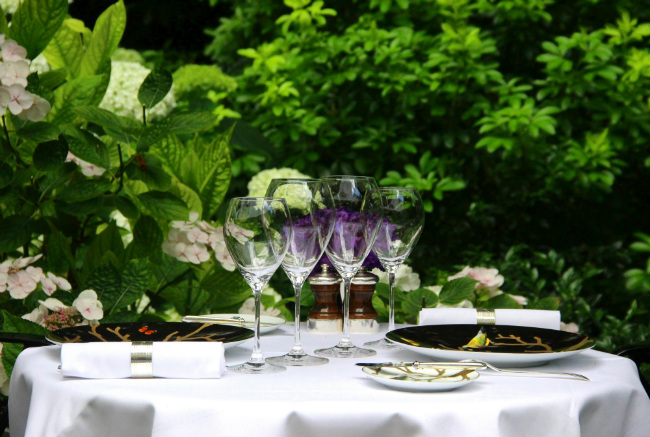 It is the sole Relais & Chateau in the capital. 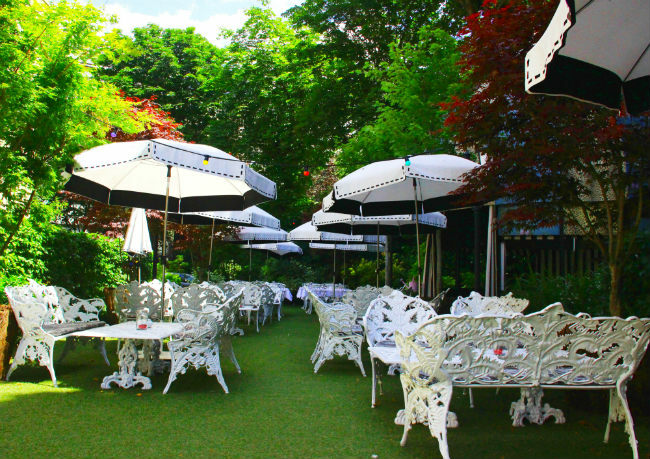 Therefore, one of our priorities is that tourists and locals alike can discover Saint James Paris with its restaurant, its library bar, and its terrace. Saint James is an elegant neoclassical mansion built in 1892. 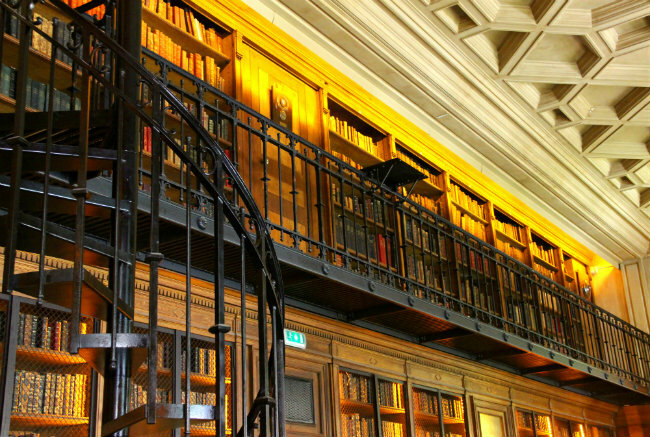 It is nestled in the discreet 16th arrondissement, near the Arc de Triomphe. Steeped in history, this was the location of Paris’s airfield for the first montgolfières — hot-air balloons. 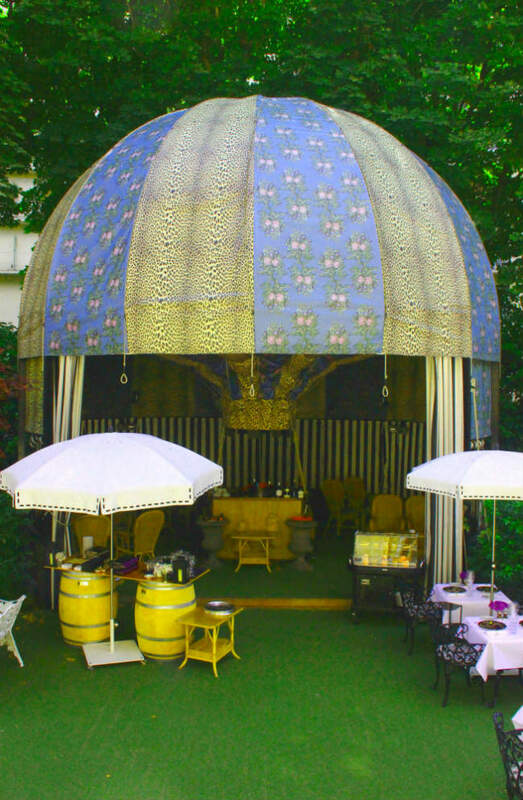 The montgolfière-like tents on the terrace and the authentic wood-panel library bar are reminiscent of the building’s history. As the restaurant, the library bar, and the terrace are open to the public for dinner from Monday through Saturday and for brunch on Sunday, everyone can indulge in a refreshing and soothing getaway while allowing themselves a gastronomic treat in the heart of the capital. A rarity in Paris! 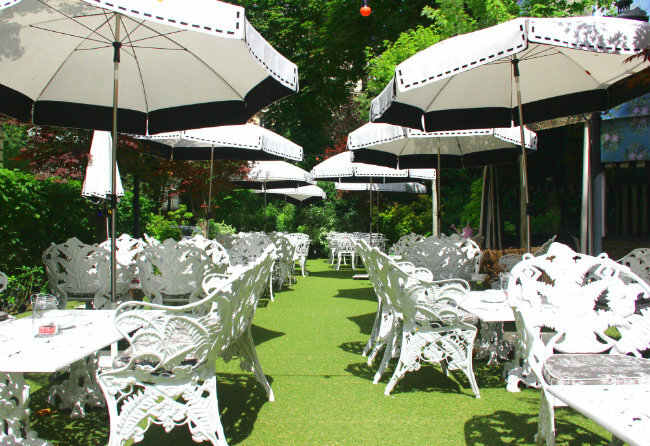 The Saint James Paris is located at 43, avenue Bugeaud in the 16th arrondissement. Tel: +33 (0)1 44 05 81 81. Open for dinner from Monday through Saturday from 7:30 p.m. to 10 p.m. and for brunch on Sunday from noon to 4 p.m. The library bar is open to the public from Monday through Saturday from 7:30 p.m. to midnight.